The first tip is to become an avid reader. This is because, as you're going through reading material, you're bound to find words that are unfamiliar to you, which is the first step in widening your vocabulary. Finding new words is one thing. But to include them in your vocabulary, you need to understand what they mean and how to employ them. For that reason, it is necessary that you have a dictionary by your side and that you use it. For those recently-discovered words to become part of your vocabulary, you need to practice them. A way to do this is to write with regularity. While you do, make it a point to include those words. On that same subject, you can also talk to people. During your conversations, utilize the new words in your vocabulary. Likewise, be sure to listen in for any unknown words they throw in and how they employ them. As a final tip to grow your vocabulary, you can play a few different games. 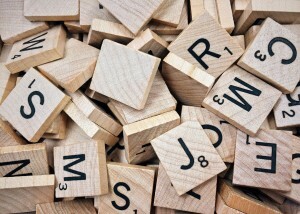 Scrabble, crossword puzzles, and some apps can help you broaden your word collection inadvertently and in a fun manner.